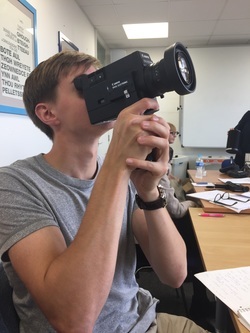 I am a 3rd year BA Filmmaking student at Kingston University London. I seek to continue my career in film through my studies and beyond. My interest for film has grown over the recent years as I have learned to develop my skills and explored new techniques within the realm of cinema. I see myself inclined towards directing and cinematography in filmmaking. I am Co-Creator of ExtremeRodent Productions, where i have created various content, often in the form of short films and videos. I have worked on personal projects, university productions up to commercial work.